The reason for my new motto is that I am always second guessing myself when I want to buy something or make a major/minor change in my life etc. etc. Now I am just going to do it and see what happens. Of course I am not going to fall in to the path of Jim Carrey in “Yes, Man”. That would be a bit too much. As for my “Just Do It” motto, today, I’ve taken that first step to making an “energetic” smoothie to take on the go in the mornings. It’s supposed to help you lose weight too (hint, hint), but for me that’s not what I am looking for. With 3 boys on my plate, I am looking for energy. Today’s inspiration is found on Pinterest (here). Here’s some more alternatives as well. It seems the base of the smoothies are with Spinach. Which is a great “green” for everyone to be eating. 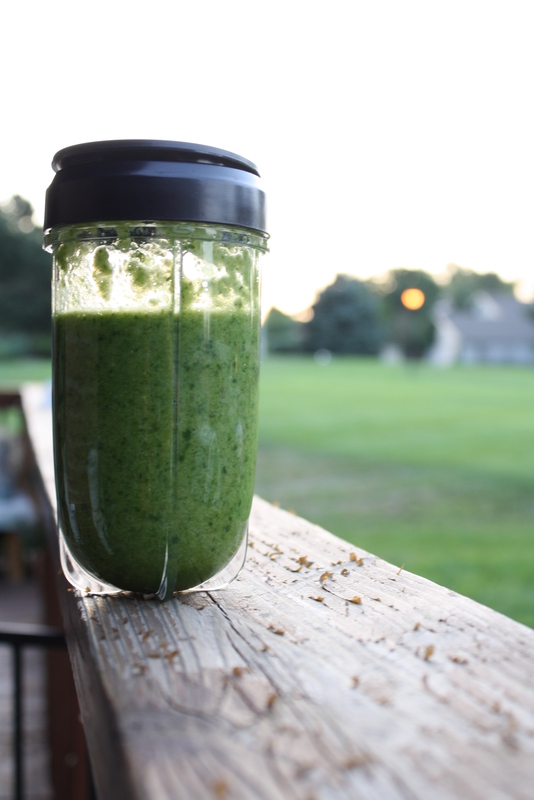 AND, if you don’t like spinach in your salad, why not add it into your smoothie. I am sure everyone loves a spinach dip, but all that cheese is not going to help you. Let me tell you what, you can’t even taste the spinach in the drink. Ssshhhh… don’t tell. :) So why not just add it in so you can have your “green” fix for the day? I definitely would. Just Do It. There’s only two outcomes. Either you like it or you don’t. Period. Anyway, enough about that, I’ve gotten the major issues out of the way and now I am hoping to come back in full force. First, I want to talk about the AWESOME Nine West Wedges above. I got them at Nordstorm’s Rack for $20. A whopping $20. I knew they were definitely a keeper the moment I saw the price tag. :) Another great shoe to my already growing collection. Here’s my outfit for the day. Just a few clips to showcase instead of a whole body shot like I always do. Enjoy the rest of your beautiful Thursday.